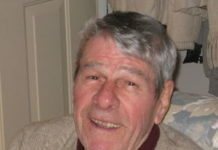 Worcester – David F. Craft, 91, a lifelong resident of Worcester died Friday, Feb. 15, 2013 at Beaumont of Westborough. His wife, Eunice A. (O”Brien) Craft, died in 1996. He leaves his son, David F. Craft Jr. and his wife Linda of Northborough; a daughter, Elizabeth Werkowski of Ellington CT; a grandson, Robert Werkowski of Boston; and two cousins, Jane Callahan and David Williamson of Danvers. He was predeceased by a brother, James E. Craft. He was the son of the late Edward and Mary (Williamson) Craft. He graduated from Classical High School in Worcester and attended the University of North Carolina at Chapel Hill. 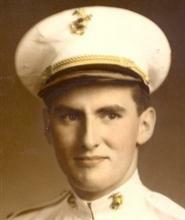 He served in the Marine Corps during WW II as an instrument flight instructor and earned the rank of Captain. Mr. Craft&apos;s working career at the former Rice Barton Corp. in Worcester started in 1960 until his retirement as Vice President of Operations in 1989. During the same time, he also worked as a part-time real estate agent in Worcester. He was a former member of Christ The King Church for over 50 years. Calling hours will be held Tuesday, Feb. 19, from 5 to 8 p.m., in Hays Funeral Home, 56 Main St. (Route 20), Northborough. His funeral Mass will be celebrated Wednesday, Feb. 20, at 10 a.m., in St. Bernadette Church, 266 Main St., Northborough. He will be laid to rest at Hillside Cemetery of Auburn. In lieu of flowers, memorial donations may be made to the charity of one&apos;s choice. For online condolences, please visit www.haysfuneralhome.com.